Due to some changes in previous years, a new revision of the map from 2009 has become necessary. 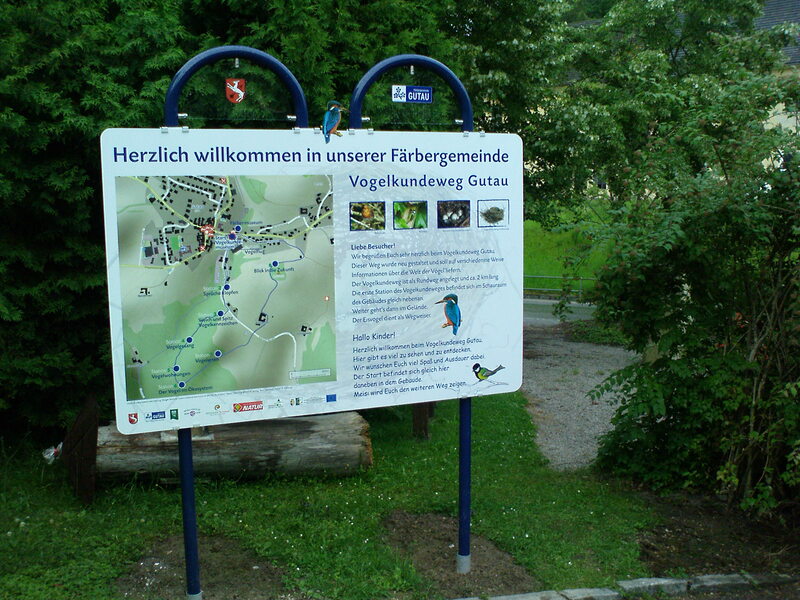 Most notably, new bicycle routes have been established in the Mühlviertel (very hilly region of Upper Austria north of the Danube) and should be incorporated into the map. This time, the map was decided to be printed as A3 pad for tearing off map pages. On the front side there is again an overview map, while the back side features a detail map of the village center and some textual information regarding hiking routes. 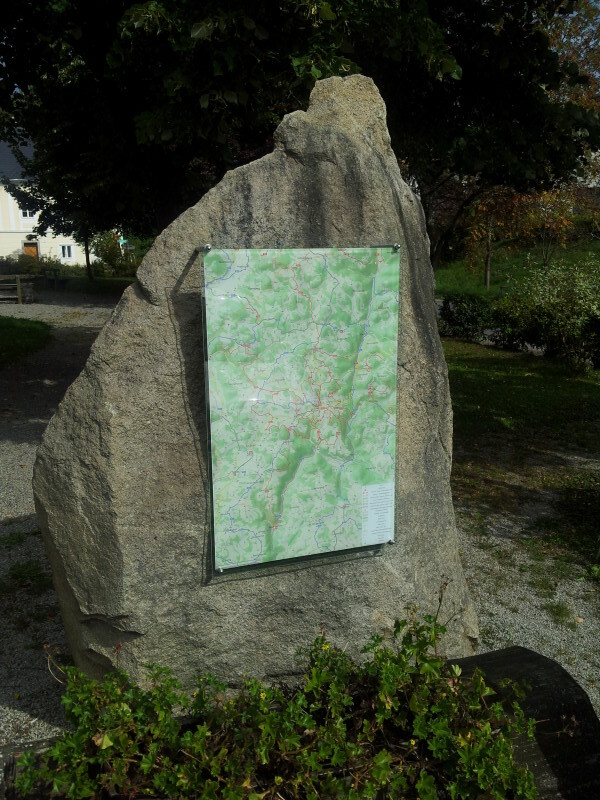 The following shows some photos of the result, which includes a wayside panel posted a the start of the hiking routes, where there is also a station for e-bike rental. The digital print files are also available here. Photos of front and back side of Hiking and biking map of Gutau, as well as the wayside panel. 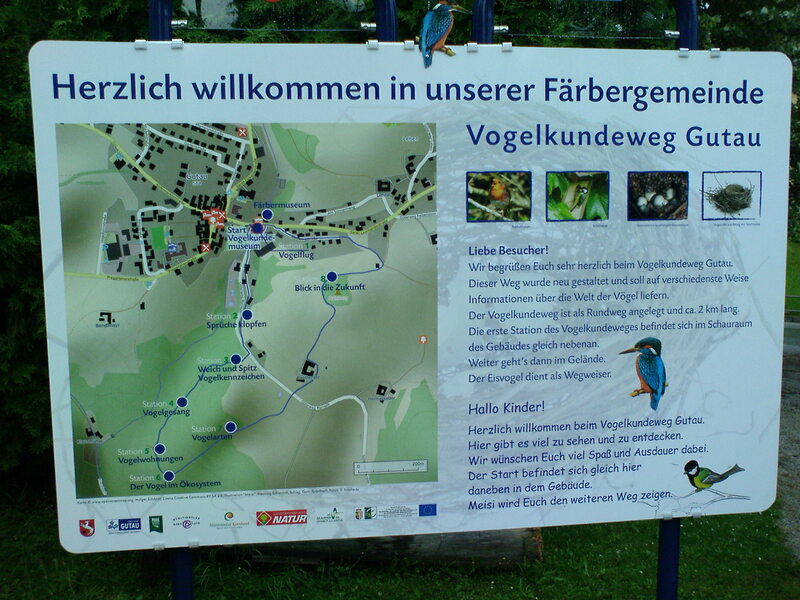 The information display of the newly redesigned birds learning path, setup July 2009, in Gutau. Map of the birds learning path in Gutau. 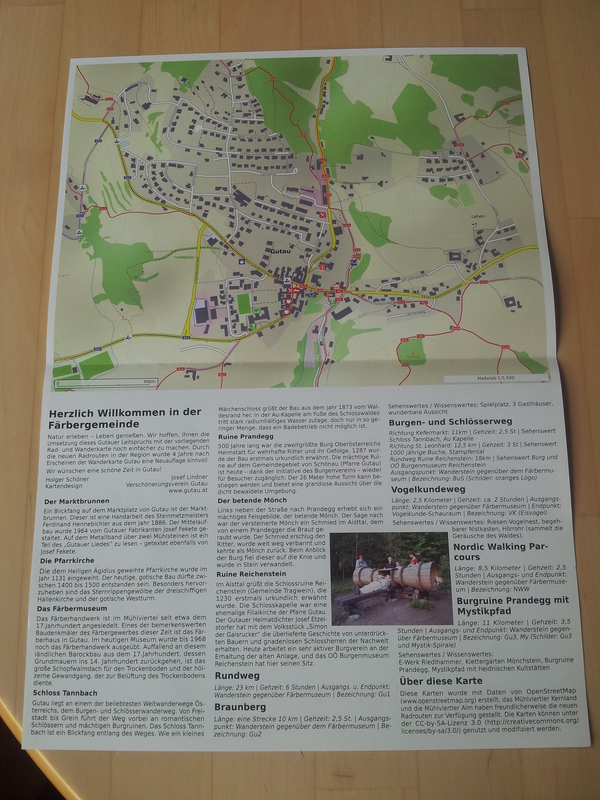 The printed version of the Gutau Hiking Map. Text and images on the second page are © 2009 Verschönerungsverein Gutau, and available under the license CC-by-sa 2.0 as well. 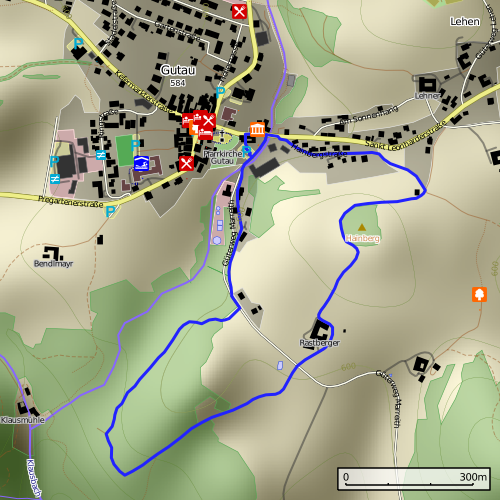 Overview of hiking routes around Gutau, Mühlviertel, Upper Austria. 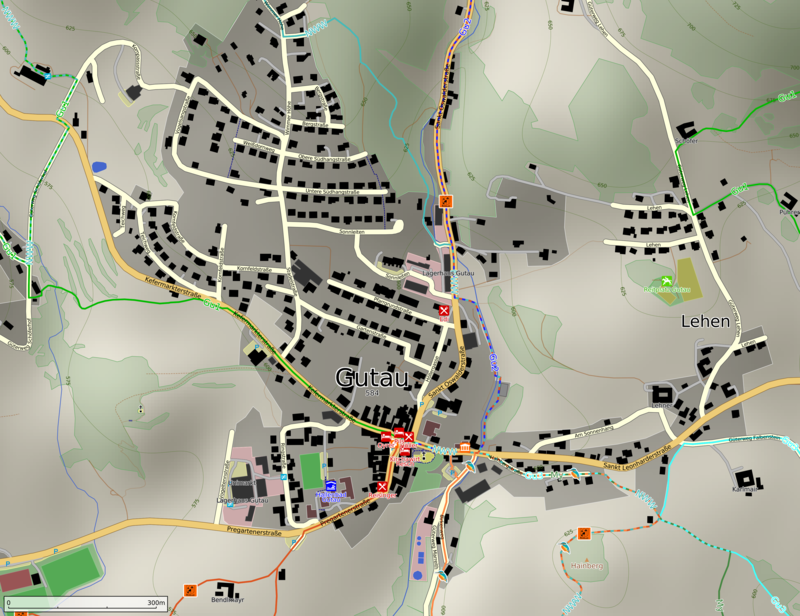 Central Gutau, Mühlviertel, Upper Austria. 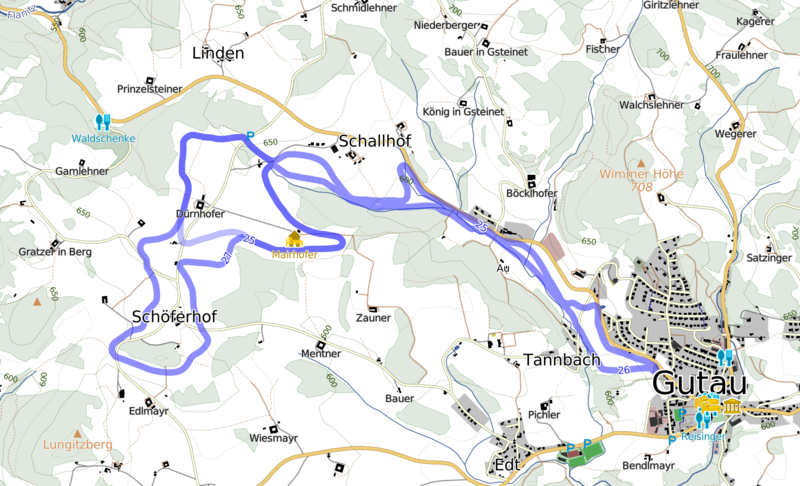 Overview of cross country skiing routes around Gutau, Mühlviertel, Upper Austria. 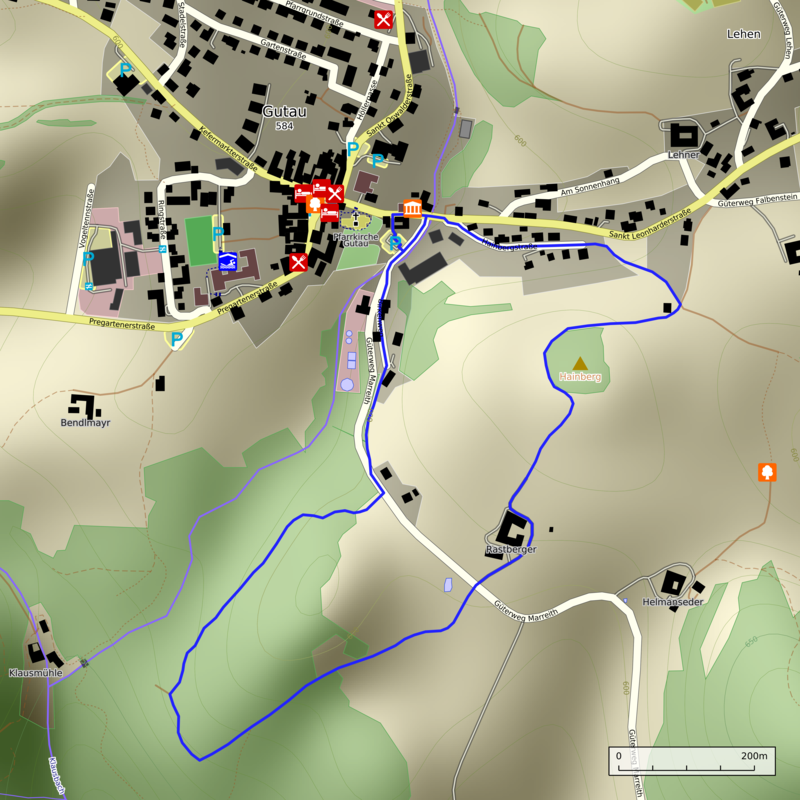 All maps shown here derive from OpenStreetMap data, and are provided under the CC by SA 2.0 license. A click on an image allows to view or download the image in its original size; some of the images are rendered in a different resolution for the thumbnail below, and so may show less detail than the original.